This performance is a Cultivating Curiosity: Story to Stage selection. Registration opens on May 14th. Before she was a renowned humanitarian, conservationist, and animal activist, Dr. Jane Goodall was a little girl with a very special toy chimpanzee named Jubilee. In Me…Jane, Jane and Jubilee go on outdoor adventures and explore all the miracles of nature around them. As they learn more and more on their expeditions, Jane dreams of spending the rest of her life living with and helping animals. From the highly-acclaimed Kennedy Center Theater for Young Audiences, which brought Elephant and Piggie’s: We Are in a Play! 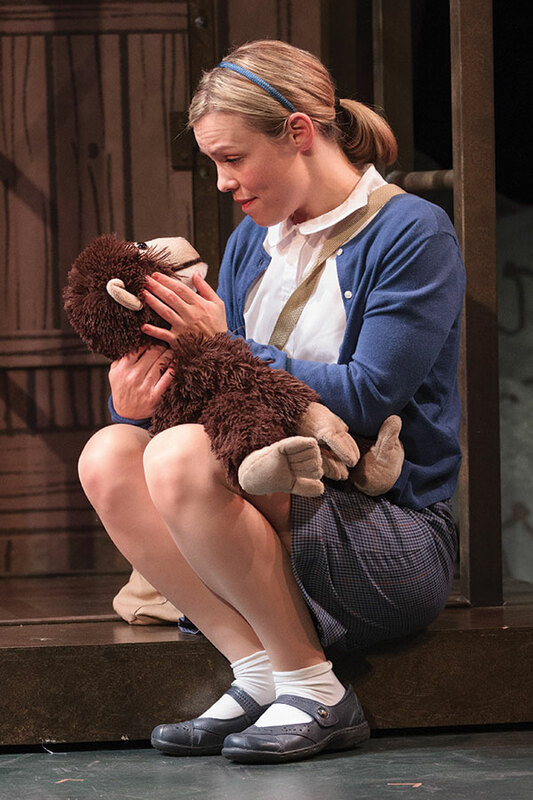 in 2017, this brand new musical adaptation of Me…Jane highlights the importance of learning about the natural world and protecting all living species. With anecdotes taken directly from Jane Goodall’s autobiography, this delightful performance makes her inspiring and true story accessible for the entire audience. A beautifully restored 1,900-seat performance venue, this majestic hall is one of the gems of Portland’s downtown Arts District and is located near many excellent restaurants. Parking: Parking is available for a nominal fee at “Central Parking Services” on the corner of Congress and Pearl Streets (this lot offers some accessible parking spaces) and at the “Top of the Old Port” on Pearl Street (off of Congress).